Vastu, the Science of Vedic architecture, has its roots in the ancient Vedic tradition of India that views our selves, our bodies, and our environment as components integrated into one unffield field o natural law. Mr. NiranjanBabu, in his new book Vastu –Directional Influences on Human Affairs, leads us masterfully through the integrated knowledge of vastu. He explains Vastu principles with a thoroughness and clarity that express his deep knowledge and many years of experience. We learn from Niranjan Babu that Vastu influences can be identified through the integrating links of the five elements or ‘panchabhutas’ we see the foundations of Vastu captured within the healing arts of Ayurveda, the Vedic science of health. We see how the rhythms of nature identified in Vastu have their counterpart in Vedic music. A building is likened to a musical instrument playing the harmonies of nature. Nirranjan Babu Banglore is a well-known international consultant in Vastu and is the author of the international best sellers Handbook of vastu, Vastu: relevance to Modern Times, vastu FAQs Answered and vastu Shastrada Kaipidi (in Kannada). With degrees in both science and commerce, he is also a postgraduate in Journalism. Serving a CEO and Publisher of The Astrological Magazine (of his father, dr. B.V. Raman), he has been actively associated with this prestigious magazine for the last thirty years. His articles have covered Sastra, India Culture and related areas. He is a member (as a Vastu specialist) of Sri Dharmasrala Manjunatheshwara Dharmottanna Trust (Dharmastal, India), which maintains and manages a large number of India’s well-established temples and theological, educational and other institutions. He has lectured and conducted intensives on Vastu Sastra at several American Council of Vedic Astrology, symposia and in Chicago, Peoria, dalls, Atlanta, Tampa, Los Angles, San Franciso and Seattle. Niranjan Babu Banglore’s consultation forte is in mega projects involving temples, sub-divisions, shopping malls, educational institutions, hospital complexes, etc. 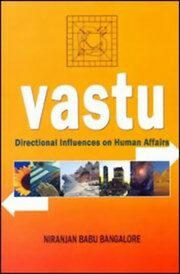 The First All India Symposium on Vastu was conducted in Bangalore, India in 1995 under the chairmanship of Dr.B.V. Raman and the leadership of Niranjan Babu. Niranjan Babu’s varied interests include Yoga, Acupressure, Ayurveda, Homeopathy, Vedic Astrology, Hindu Theology and Philosophy and Photography. He is also involved in innovative computer applications related to a variety of print media.